2 vanilla pods of Madagascar 2016 AOC Bourbon, gourmet quality*,15 to 17cm, tube freshness. 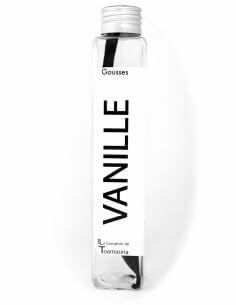 Our Bourbon vanilla beans from Madagascar are flexible, black, fleshy, shiny, perfumed, fluffy and not split. In a tube design. It offers a extraordinary flavor with notes of cocoa. Purchase vanilla pod of Madagascar: 2 Bourbon vanilla beans from Madagascar gourmet quality-extra, flexible, black, fleshy, shiny, perfumed, fluffy and not split. 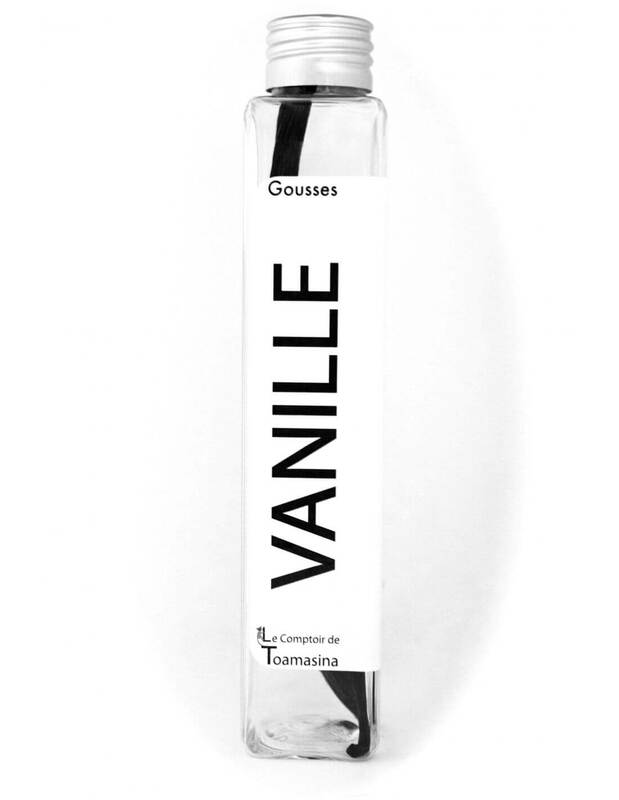 The best vanilla of the world sold in tube. The Comptoire de Toamasina, offers since 2010 the best vanilla pods of Madagascar to a small plantation. We bring a particular care to select the best vanilla pods of the large island. We sell only the best quality. 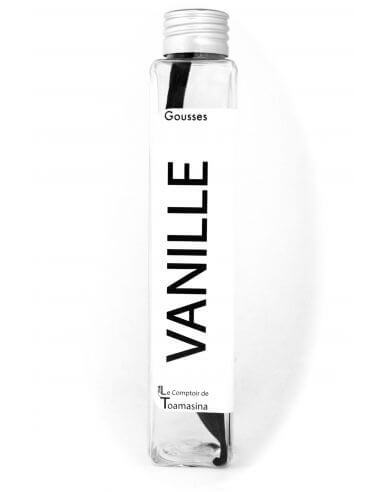 Our vanilla pods of Madagascar are: brilliant, flexible, fleshy, shiny, perfumed, fluffy and not split. For this vanilla pod 2016, our vanilla pod provides notes of cocoa. Buy of pods bourbon vanilla directly of the Plantation. Arnaud Zion creator of the counter of Toamasina itself selects directly from the producer the best vanilla pods of Madagascar. Online sale of beautiful vanilla pod of Madagascar black. Cut simply the vanilla pod of Madagascar in the sense of the length in order to extract the seeds. It is necessary to know that you are not obliged to cut the vanilla pod on its entire length, you can simply cut on a few centimeters. Separate the vanilla pod from Madagascar in 2 and you need to scrape the vanilla pod in order to extract the seeds. Allow to warm the seeds and the rest of the pod of bourbon vanilla from Madagascar a dozen minutes in milk or a solution greasy. Never bring the solution to the boil. More The seeds will remain longer the flavor will be strong. For the kitchen salt, vanilla goes very well with white meats as well as to the preparations with a basis of coconut milk. The counter of Toamasina selects the best vanilla pod of Madagascar. We are trying to work to the nearest of the producers. As you have seen in the reportage of Thalassa. To keep the vanilla pod of Madagascar AOC Bourbon in the best conditions, the counter of Toamasina recommends that you store the extract to the shelter of the light and any impact of temperature. The price of the vanilla pod of Madagascar 2016 is in strong increase, here is an article to understand. Buy a vanilla pod of Madagascar at the counter of Toamasina, it is to buy the best quality of vanilla in the market. A vanilla pod extra/gourmet with a beautiful color and guaranteed 100% natural. The greatest world leaders, we we trust why not you.